I’ve talked about this Sonia Kashuk eyeshadow quad before because I love it, and now I want to give one away. It’s called “Born to Be Wild” and as far as I can tell, they don’t make it any more. But you can get your’s here! To win, send an email with your full name and email address to AllisonBarbera@AllisonBarbera.com. Please put “February Giveaway” in the subject line. Because it’s a quad, the magic number is four. The fourth person to contact me will be the winner. Good luck! A must-read for aspiring and newbie entrepreneurs. To say I absolutely love what I do would be an understatement. And it’s not just the hands-on makeup applications that I am enamored with. I also love the business side of what I do–the marketing, networking, advertising, hiring people, etc.. When I was a child, one of my dream jobs was “small business owner.” No joke. I had a kids’ office set with a little planner, “While You Were Out” message pads and memos. And I was very picky about who could “work for” (play with) me. Finding my passion in life and then being able to make a career out of it has brought me so much joy. I want everyone to find a career that they love! Because when you have that, at least in my experience, your work stops feeling like work. 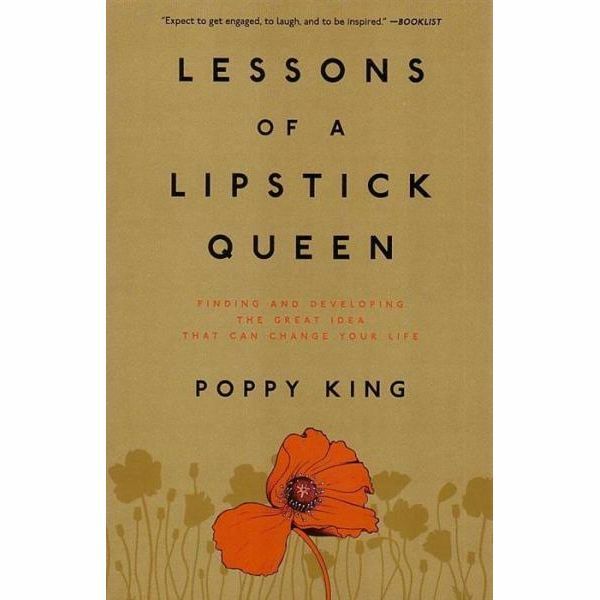 I recently read Lessons of a Lipstick Queen by Poppy King, and loved it. It’s not just a book about Poppy’s rise and fall (and then rise again) in the beauty industry. She shares valuable tips and lessons learned from her life as a successful entrepreneur. In the early chapters, she talks about finding your passion and turning that passion into a career. I have already found my passions (yes, I’m a Gemini–I had to have two) but I think these chapters would be really helpful to someone just starting out on that path. Poppy tells the reader about her specific experiences to highlight the lessons learned, but it’s not a book about makeup. I think anyone who is considering starting their own business could benefit from the information in this book. Speaking from my own experience, starting your own business can be very scary, but it can also be the best thing that ever happened to you. Having a book with this many suggestions and ideas might help with the “How the hell am I supposed to make this happen?”question. I had a concentration in Business in college and spent years working in offices. I have generally found the many business books I’ve read to be dry, confusing, or great sleep aids. But Lessons of a Lipstick Queen is easy to read and understand. I felt like I was getting advice from a been-there-done-that friend or colleague. The tone of the book is casual, which to me, made it feel real. And from a makeup point of view, her line of lipsticks, Lipstick Queen, is great! I’ll do some product reviews soon. These two look up to no good. 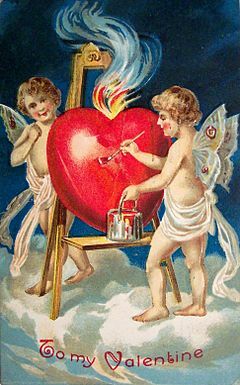 I’m no romantic, so Valentine’s Day isn’t my thing. But I also don’t wear all black and burn ex-boyfriend memorabilia every February 14th. Instead, I look at it the same way I look at most things in life: as inspiration for a makeup look. Today I did a look with pink eye color, pink cheeks and pinkish red lips. I’d post a picture but I photograph horribly. Fool yourself into the summer mindset with some beauty product trickery. Two lifetimes ago, or so it seems, I lived in south Florida (aka SoFlo). I moved there after graduating from college because having spent the first 22 years of my life in New England, I really needed to thaw out. As you can imagine, I spent many hours at the beach and by the pool in my sometimes gated (the gates kept get destroyed after each hurricane we had) community. At one point, I was laid off and jobless for three months, so I became self employed as a professional sunbather. I was broke but damn, was I tan. When I moved back “up North” I was darker than my Sicilian father (which I was very proud of at the time). The following year, I began to notice faint lines on chest and new freckles on my hands and stomach. Soon after, I went to Esthetics school and learned exactly how damaging the sun can be to the skin. Last year, I had some pre-cancerous moles removed. Consequently, I have given up sunbathing. It’s the smart choice. I’m not going to complain about the New England winter, because I choose to live here, but I will admit that I don’t care for the season. So I like to do summer makeup looks in the dead of winter, just to “warm things up.” Last week I went for a safe tan with the Xen-Tan tanning lotion (review to follow) and MAC’s lipstick in Vegas Volt (pure coral). It’s amazing what that can do for your mood! I know it is February and some self tanner and coral lipstick won’t change that cruel fact, but my summer makeup look definitely brightened my day. If you like playing around with makeup, give it a try and let me know what you come up with. 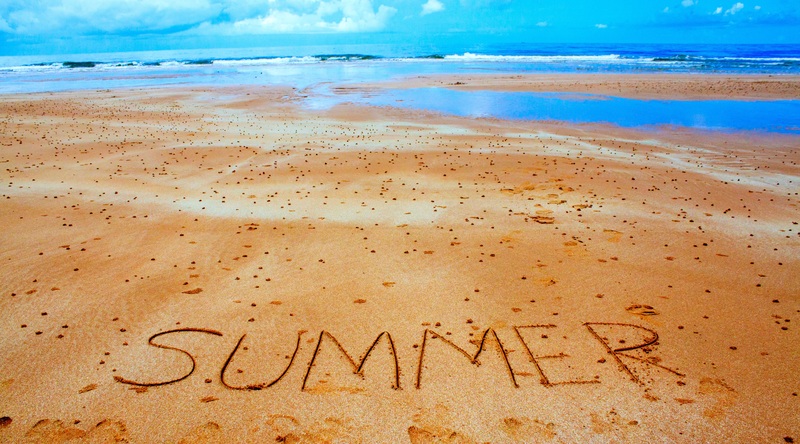 January is over, and we are closer to summer each day. That’s my mantra.